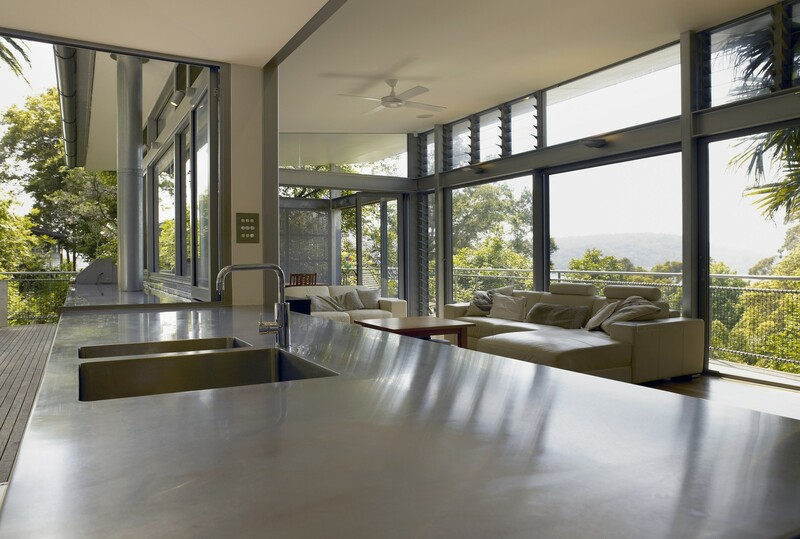 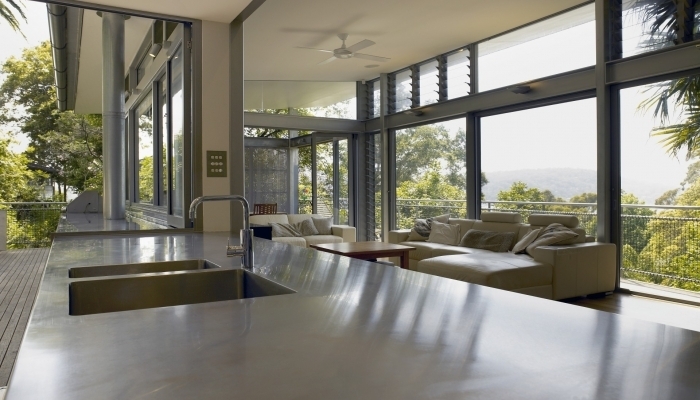 This new house is on a steep sloping block, facing due East toward Pittwater. 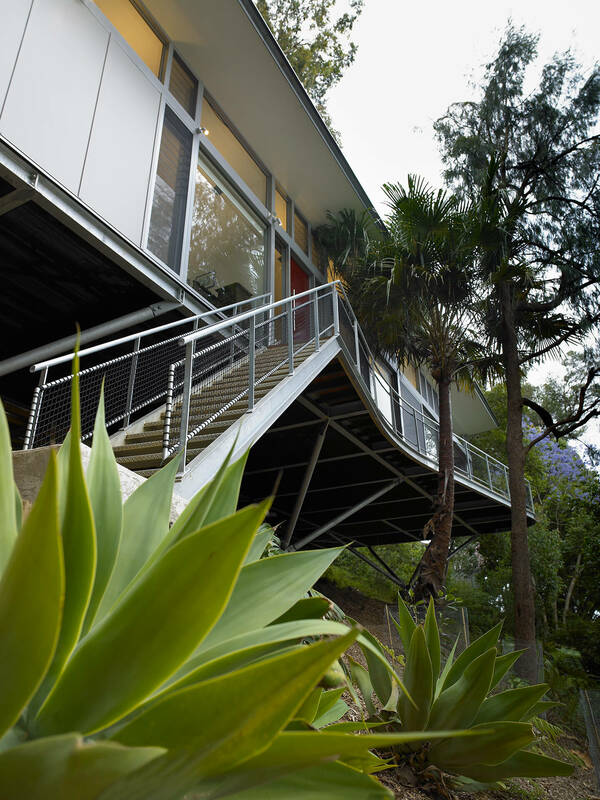 The decision to locate the house at the top of the slope toward the rear of the block was made with the clients, early in the design phase, to ensure that the house took best advantage of the views, privacy and natural vegetation on the site. 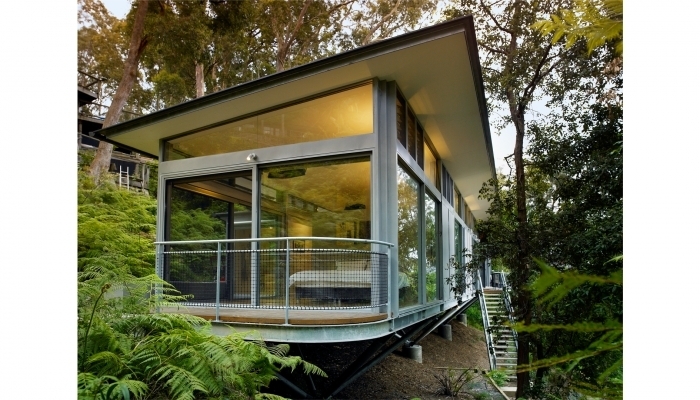 The house sits amongst the trees and is supported on a series of concrete piles with tree-like steel supports. 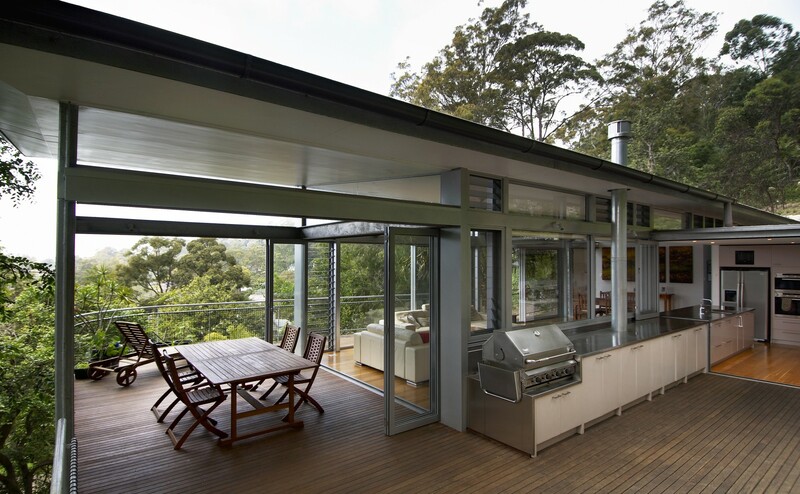 The house has a simple linear plan and is softened by the addition of timber decks that meet the ground at the back of the house. 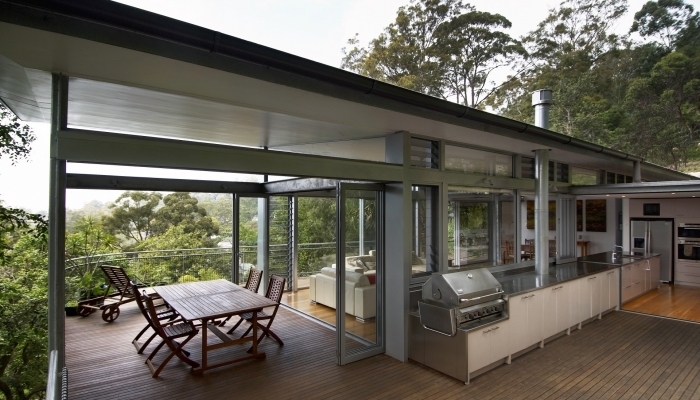 The curved steel beams that frame the decks and floor plate, are reminiscent of a ships prow and hover above the ground. 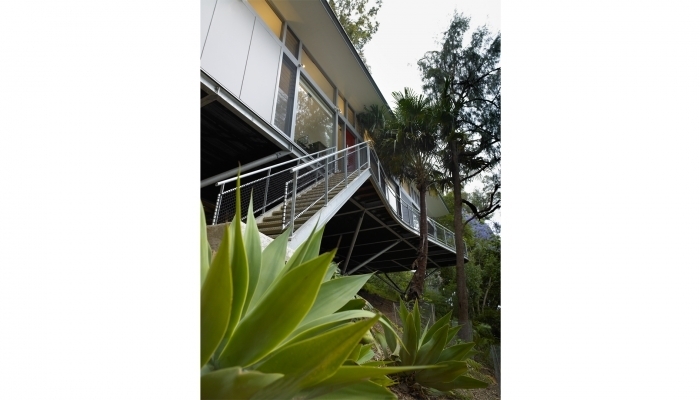 An angled steel stair leads to the front door, which is painted a bright red, in contrast to the lush green landscape. 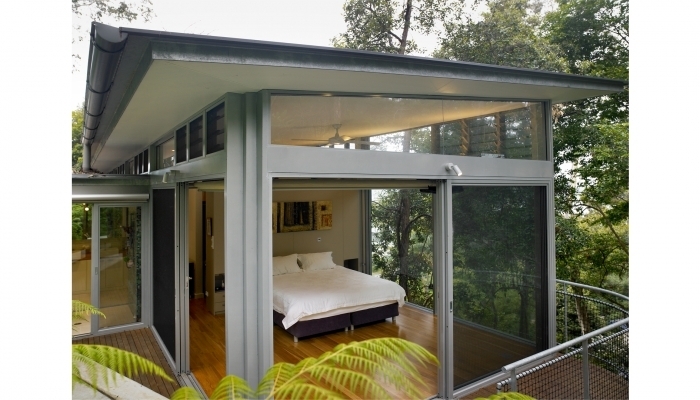 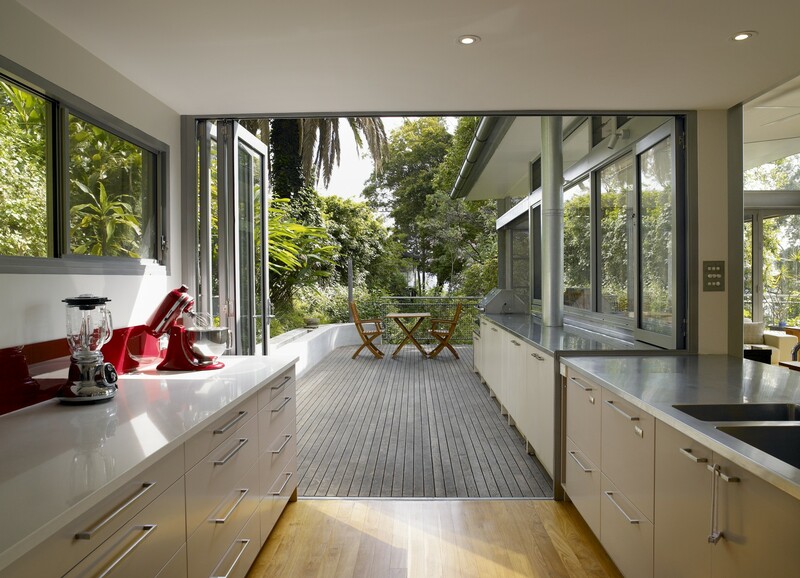 The house is open and light, and engages with its natural bush setting. 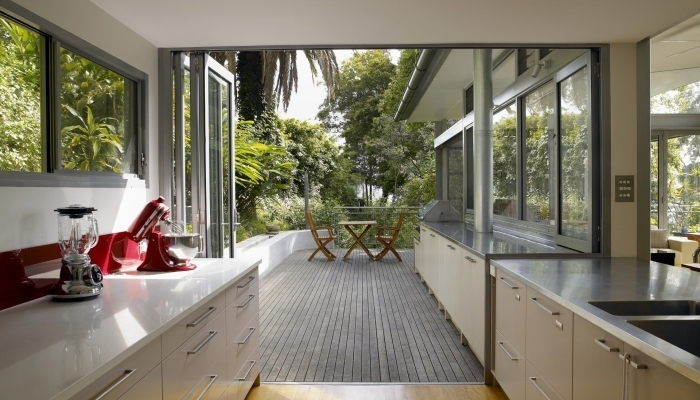 The kitchen bench extends to the outside and a large covered deck allowing for easy entertaining and open-plan living in all weather and all year round.